Friends of Ainsdale Library is a voluntary group set up with the aim of promoting and supporting the work of Ainsdale public library. 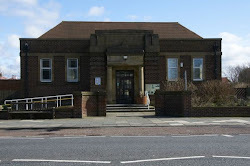 Sefton MBC is holding a consultation on the future of its library service. This is separate from the 'fact finding' survey of a few months ago. The proposal now, is to close 7 local libraries. The yearly running costs of Ainsdale library is less than £80,000. There is a online questionnaire for residents to fill in. Please press the link and fill in the short questionnaire. You do not need to answer all the questions. If you would like to join FOAL - 50 pence life membership for all, contact the secretary above. Copies of the questionnaire are also available at the libraries. If you have completed it already, please return it to any library. Ainsdale library reopens 10am 2nd January. As I am sure you have read in the papers, from FOAL emails and discussions with friends, the proposal to close Ainsdale Library has been put forward for consultation. It is now time to show Sefton Council how much Ainsdale Library is valued by Ainsdale residents, of all ages. On Saturday 24 November 2012 at 1.15pm a public meeting has been arranged at the Methodist Church, Ainsdale. Please come along to this very important meeting, we are asking members to help the campaign to stop the closure of this vital facility for the local community. Ask your friends, family and neighbours to come along too. Please sign the attached petition, via the link; also ask all you know to come onto our Blog and sign the petition. We need your help at our stall at the Ainsdale Show on Saturday 7th July If you are able to help at our stall please contact Melanie via email melsescape@excite.com or telephone her on 01704 579030 as soon as possible. As a ‘thank you’ for your assistance you will get free entry to the Ainsdale Show. We are planning an event at the library to coincide with the passage of the Olympic Torch through Ainsdale on Friday 1st June at 1100 to celebrate the olympics and the Queen's Jubille. Drinks and cakes will be available from 1030 (hopefully in the garden, weather permitting) so do come along, show your support for the torch bearer then pop into the library for refreshments. This group for pre-school children and their parents/carers meets every Friday 1015 for a fun time singing together, listening to a story and colouring with crayons. Its also a chance for the adults to have a chat and the kids to socialise with each other. There is plenty of room for new members - its free and there's no need to book - just come along and enjoy ! Our blog has been 'down' for some time but we are now gearing up to relaunch in the very near future. In the meantime we can reveal that we now have 553 members - a great achievement but we hope to attract even more people to join us this year ! We are pleased to report that the Young Foal Group has started to re-form - if you are at school and interested in getting involved please send us an email. We will be at the Ainsdale Horticultural Show again this year, on 7th July. Please come along and show your support for FOAL and your local library. We will be playing a very active part in Sefton Council's review of library services. Look out for details of how you can make your views known. We expect that individual members of the public will be able to send in comments and there will be the chance to discuss the issues at public meetings. Saturday the 17th of September is Ainsdale's Love Our Library Day! On offer will be a children's quiz, games, a cake stall, chess, puzzles plus a display illustrating the services on offer including dvd availability, reading groups, free internet access, games nights and computer courses. Please come and support us for a half-hour in the morning and bring family and friends! We need as many people to visit the Library as possible on that morning. Join the library - online!